Who is the American Sports Betting Coalition? Sports betting is having a moment in America. The world waits with baited breath over the outcome of the Supreme Court’s ruling in the NCAA vs. Murphy case, wherein we will see whether sports betting should be a federal or state jurisdiction matter. It’s been an exciting case to follow, and the results will be in soon. The American Sports Betting Coalition (ASBC) is a lobby group formed in June 2017 by the American Gaming Association (AGA). The ASBC has 4 core aims; to educate stakeholders (such as law enforcement and policymakers) about the negative impacts of the thriving illegal sports betting industry, to advocate in repealing the federal law banning sports betting (PASPA, or the Professional and Amateur Sports Protection Act of 1992) and to give the power back to the states and tribal authorities, to empower law enforcement to put in place robust regulations for 21st century monitoring of sports betting operations, and to deliver fans the sports betting avenues that they are crying out for. Part of the American Sports Betting Coalition is the Coalition Advisory Council. This council is made up of high-level stakeholders from both the American Gaming Association and the Illegal Gambling Advisory Board, other law enforcement leaders and members in official political councils. There are various other bodies and individuals who have shown their support towards the American Sports Betting Coalition, including the National Indian Gaming Association and Texas Attorney General Ken Paxton. With industry support behind them, the ASBC have put together a strong case for handing back the power of sports betting legislation to the States and tribal councils. They have gathered a wealth of data from various trustworthy sources to help spur their argument and have thrown their weight behind the Murphy side in the NCAA case. This is seen as perhaps a possible likely outcome of the case given the line of questioning of judges during the hearings. If PASPA is decided to be unconstitutional, it will be because sports betting itself will be deemed to be a State jurisdiction rather than a federal one, as PASPA outlines. This will mean that PASPA stands and that States are unable to repeal any federally placed sports betting bans. The ASBC sees three possible outcomes from this scenario, namely, that PASPA is unconstitutional only in governments being unable to sponsor, advertise, promote or license sports betting (not individuals), that PASPA is unconstitutional only in prohibiting government repeals, or find that the law is not applicable in this NJ case. All three are seen as favorable outcomes to sports betting in New Jersey, but not necessarily for other States. 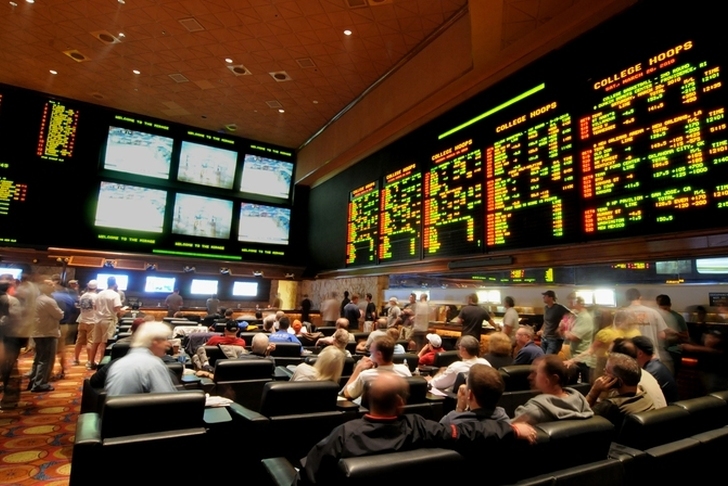 Betting laws, sports betting or otherwise, are complex in the US. Some States are allowed regulated gambling (like Nevada), certain states already allow you to claim real money no deposit coupons in online casinos, and some States outlaw gambling altogether. However, trying to police gambling has become a very different issue than it was back in 1992, when PASPA came into being. Back in 1992, the internet as we know it was just a twinkle in the eye of the brightest minds. Back then, the internet was some email and message board servers. Now, a punter in the US can place real-time bets on a Premier League game that’s he’s watching from across the other side of the world, and he can place them using cryptocurrency – all online. We no longer need to have a local underground bookie and gather around to watch the game via cable. We can do everything quickly and easily over the internet – even if it isn’t legal for companies to run these operations from out of the US. What this means for the US market is that we are missing out on a huge chunk of income going back into the economy locally, and through regulation and taxation. In fact, almost $150billion is wagered illegally in sports betting in the US a year. This is a huge amount of money to be sending offshore – especially when it’s going to keep happening regardless. The US needs to keep up with the internet-enabled times. As more countries (such as Sweden) step towards legalizing and regulating their online gambling industries, we need to keep up – or at least that is the line toed by ASBC. As we wait for a decision from the Supreme Court, it would be unfortunate to think that the country wouldn’t be able to move with the times and start making an income on those big time profits.